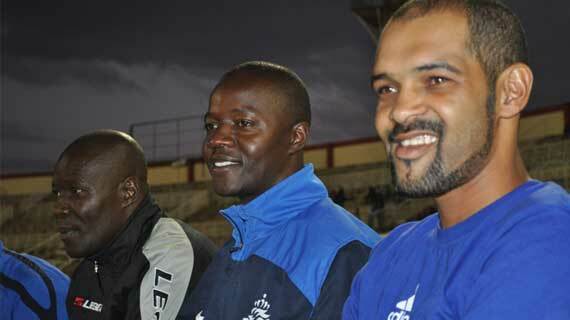 Former Sofapaka Coach Salim Ali has been appointed as the Ulinzi Stars Coach with immediate effect. From a message on the team’s official website, immediate former Coach Sammy Simiyu will deputize Ali. “Ulinzi Stars FC is pleased to announce that we have a new Coach. Former Mathare United and Sofapaka Coach Salim Ali has been picked to head the team into the new season. Ali has been picked after a rigorous exercise that saw top level coaches from all over the country interviewed for the job. “Coach Sammy Simiyu who has been handling the team in the last season after Benjamin Nyangweso was redeployed will deputize Ali.” said a message on the team’s official website www.ulinzistarsfc.com. “We are happy to have Ali with us. He is the best qualified coach in Kenya and we trust he is going to deliver silverware. His work starts immediately where he heads to the Recruit Training School in Eldoret to pick up players from the Inter Divisions that are currently ongoing. He will also come back and pick the best players from the 14 that we took from the CDF Cup. We will give him a free hand to choose his team and we have faith in him that is why we have handed him the mantle,” Chairman Lt. Col. JS Mwinyikai says. Ali was shown the door at Sofapaka after alleged poor results and since then he has been undertaking different courses of training coaches. Ali was Zedekiah Otieno’s deputy at Harambee Stars but he later stepped down to concentrate on his club Mathare United which was then facing relegation.